The road haulage sector cannot support the equalisation of the cost of petrol and diesel without a rebate from the State, the Oireachtas Select Committee on Budget Oversight heard yesterday. Any increase in the cost of diesel will lead to increased business costs for the already stressed haulier sector, the President of the Irish Road Haulage Association (IRHA), Verona Murphy, told the Committee. The OECD has recommended equalising the rate, while the European Commission has called Ireland’s policy of taxing diesel less than petrol “environmentally unjustified”. The World Health Organization has said that diesel exhaust fumes can cause cancer and emit ten times more health-damaging pollutants than petrol cars. The Environmental Protection Agency recently found that a high proportion of Ireland’s urban population is now exposed to harmful levels of air pollution, with traffic the key pressure. Ms Murphy said, however, that the proposal will lead to an estimated 10 per cent increase in the fuel costs of the Association’s members and impact not just on the sector, but also Irish trade. Last year, Irish exports totalled €122 billion and imports over €75 billion, with the road haulage sector is “a key cog” to this trade, Ms Murphy said. Ms Murphy said that the Association could not entertain the idea of increasing the cost of diesel without the revision of the diesel rebate scheme. The scheme introduced in 2013 provides a tax relief for commercial vehicles using diesel fuel when the market price is above a certain threshold. Ireland is one of eight EU member states to offer this form of tax relief. Ms Murphy said however that the floor for diesel rebates of €1.00 is set too high and called for it to be reduced to €0.85 per litre and for the maximum rebate available to be increased from 7.5c to 15c per litre. 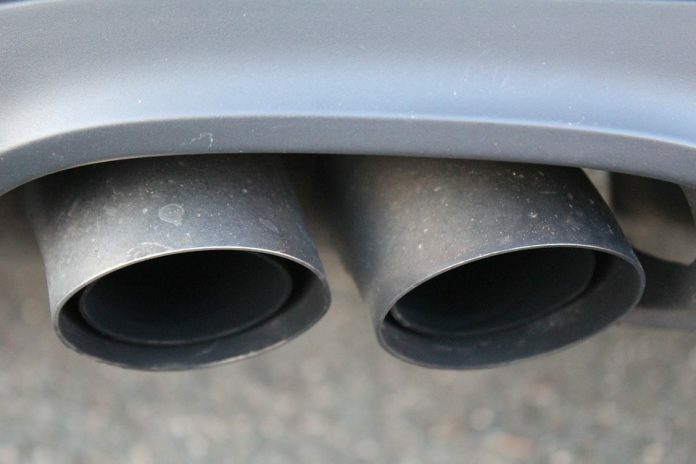 A recent report from the Economic and Social Research Institute (ESRI) found that the diesel rebate scheme has led to a negative environmental impact as it encouraged a greater consumption of diesel, causing 100,000 extra tonnes of CO2 to be emitted. Ms Murphy said, however, that the ESRI’s analysis put forward a “worryingly misinformed point of view” as drivers will always seek to find the shortest route to their destination in order to ensure fuel efficiency and reduce costs. The ESRI report on the environmental effects of 142 existing and potential fiscal measures found that increasing the excise duty on diesel to the level of petrol could bring in up to €500 million a year and reduce our emission levels. Professor Edgar Morgenroth, the lead author of the report, told the Committee in May that removing the excise difference between diesel and petrol would reduce CO2 emissions by 2.4 per cent, NOx emissions by 3.8 per cent and PM emissions by 4.1 per cent. The Dublin City University academic told the committee that Ireland’s lower excise duty is incentivising the use of diesel at the same time as other European countries are considering diesel bans to improve air quality in cities. The post Committee told road haulage sector can’t support diesel hike without rebate appeared first on Green News Ireland.